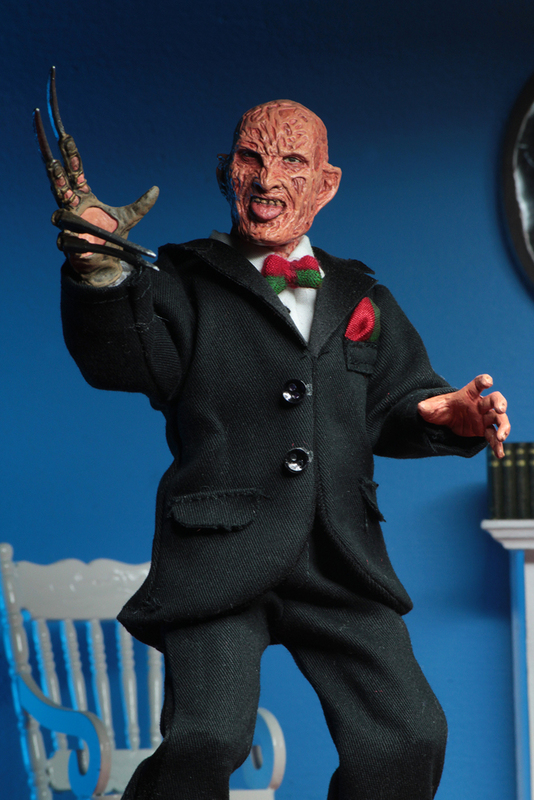 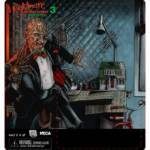 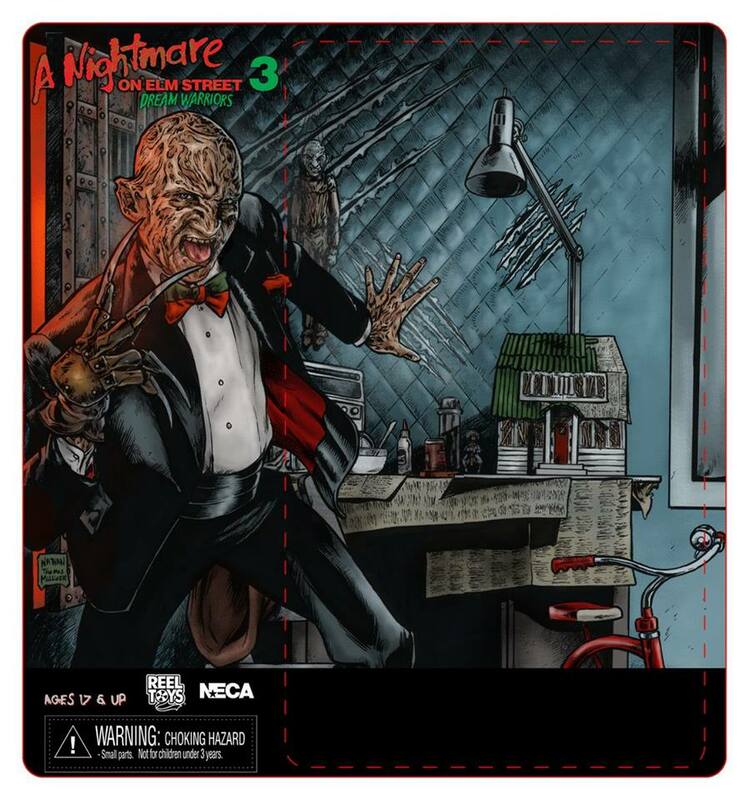 NECA has revealed the card art for the upcoming A Nightmare on Elm Street Part 3 Tuxedo Freddy Retro figure! 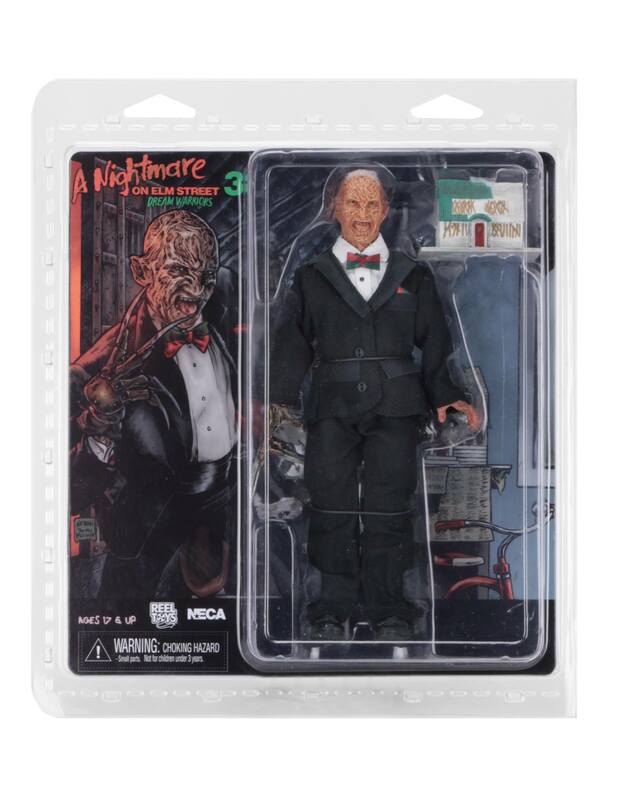 The art and product shot shows Freddy running his blades across his tongue in his famous creepy fashion. 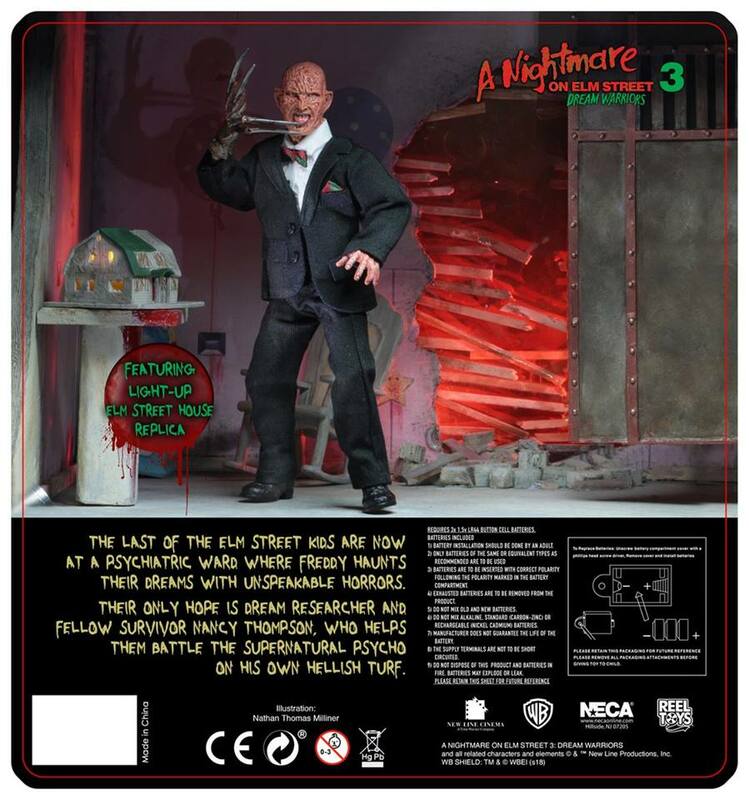 The figure is due out this summer and should retail for about 36 bucks. 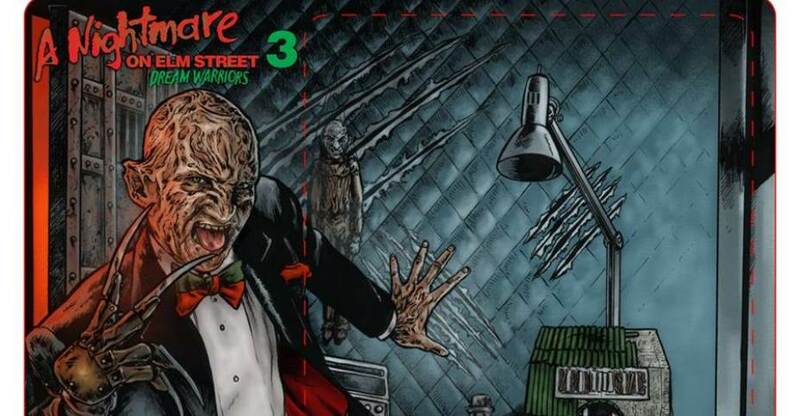 Read on to check the art!